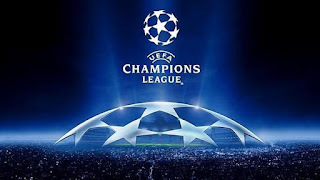 United are among the clubs who secured their qualification to the Round 16 of the UEFA Champions League, in the final round of group games played on Tuesday. Marcus Rashford and Romelu Lukaku scored as United defeated CSKA Moscow 2-1 and finished top of Group A, while Basel won 2nil away at Benfica to join them in going through. CSKA took the lead through Vitinho goal in the first half, but United responded through Lukaku and Rashford in the second half to give Jose Mourinho side the win. Juventus also qualified from Group D after a 2nil victory against Olympiakos in Greece, and Roma are through from Group C thanks to a 1nil win at home to Qarabag. Meanwhile, Atletico Madrid were eliminated from the Champion League after a 1-1 draw at Chelsea that denied the English side top spot in Group c.
It was a disappointing night for both teams. Atletico needed a win for a chance of advancing while Chelsea also needed to win to stay top of the Group. In the end Roma took the top spot and Qarabag was eliminated. "It's part of football. It hurts but there are no excuses. The responsibility is ours," Simeone said. "This can be a new challenge. Everything bad we can make into a positive."